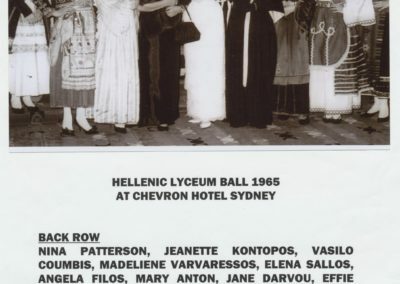 The Hellenic Lyceum Sydney Bureau ( Lykion ton Ellinidon) was founded in 1951, is a registered “Not for Profit” organization and is dedicated to promoting and preserving Hellenic Heritage and Culture. 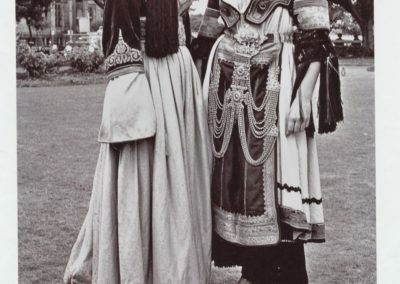 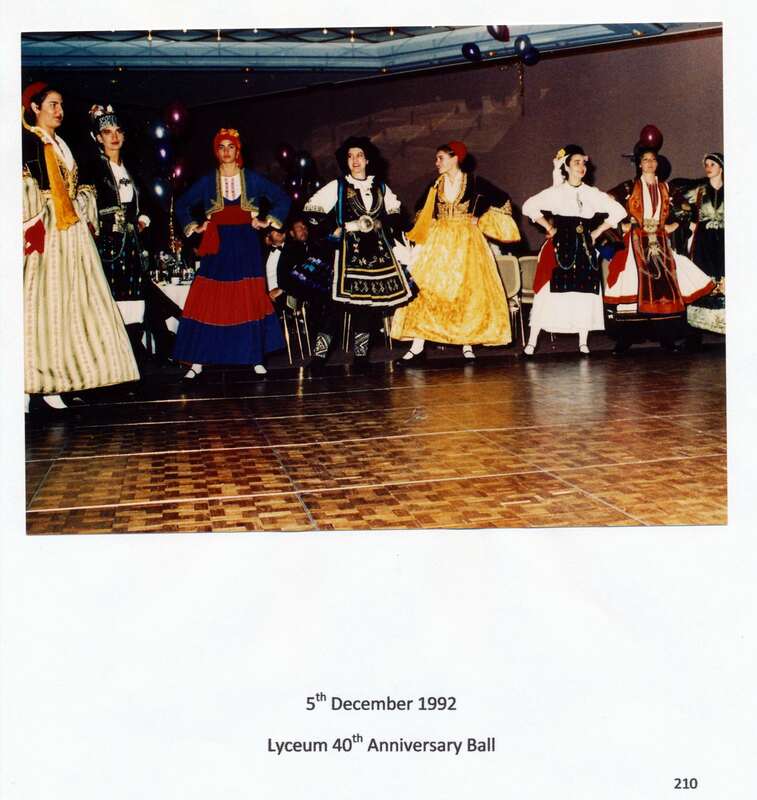 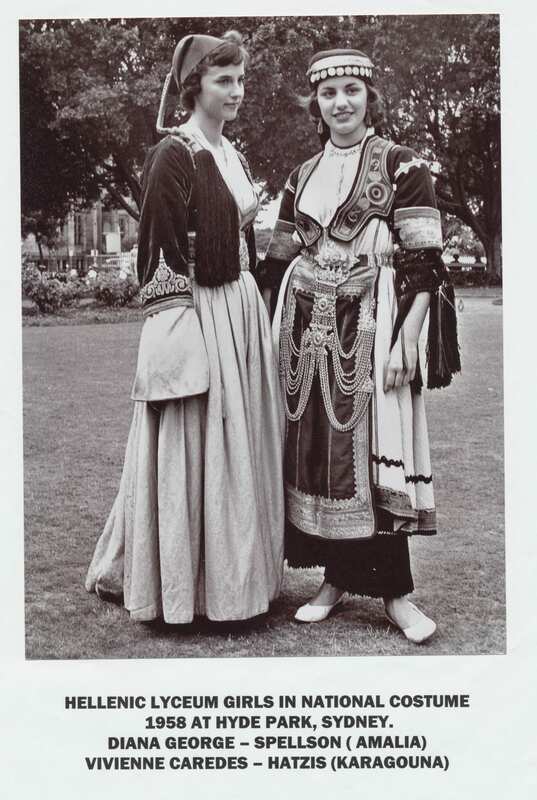 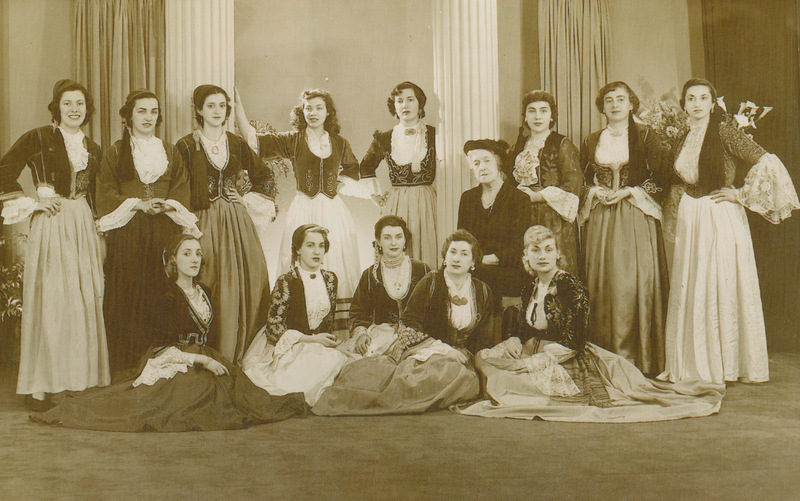 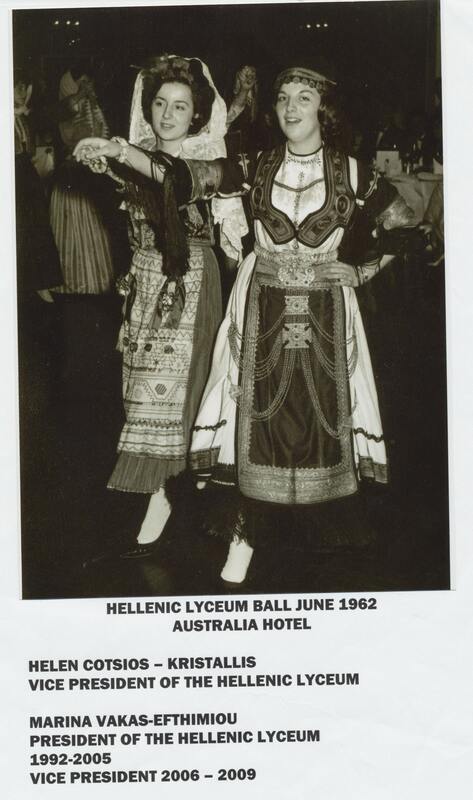 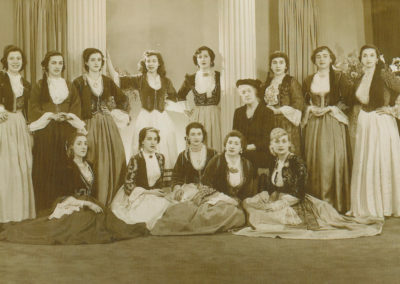 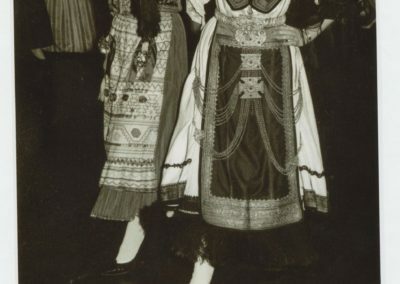 The Hellenic Lyceum Sydney, continues to increase its profile within the Greek/Australian Community through the promotion of traditional Dance and showcasing its extensive collection of authentic Hellenic costumes, embroideries and jewellery. 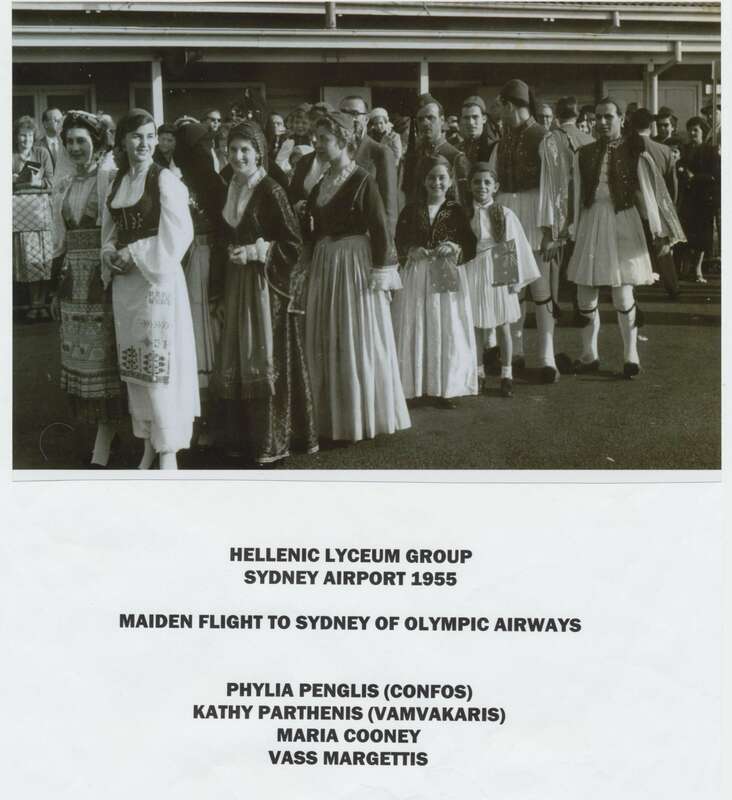 A small selection is on permanent exhibit at the Office of the Consulate of Greece in Sydney. This exhibition is free and we welcome everyone to visit. 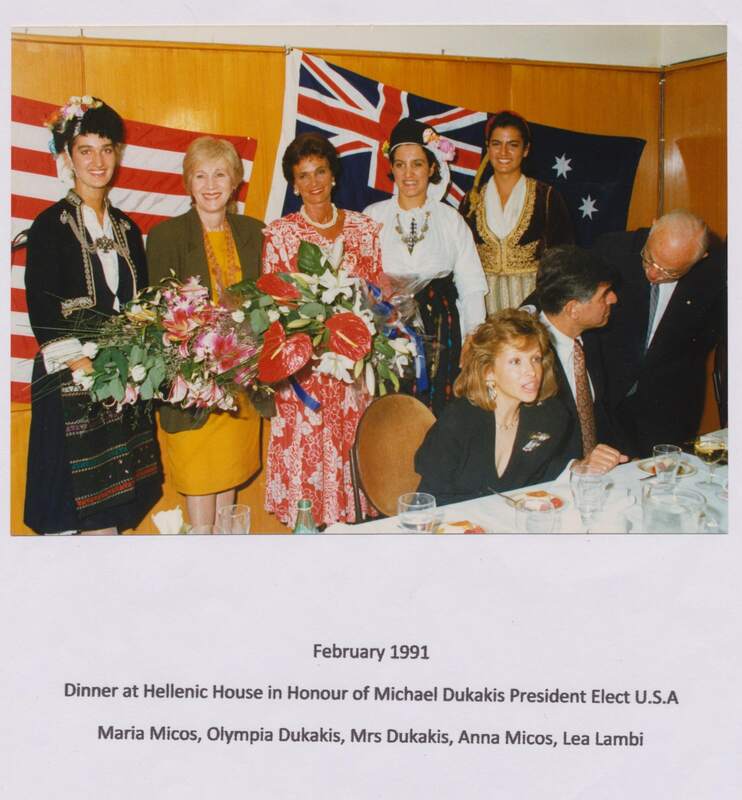 It is located on Level 2/ 219-223 Castlereagh Street, Sydney. 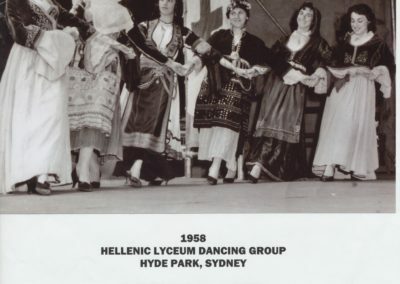 The Hellenic Lyceum Sydney is a subsidiary of the Lykion Ellinidon (also known as the Lyceum Club of Greek Women). 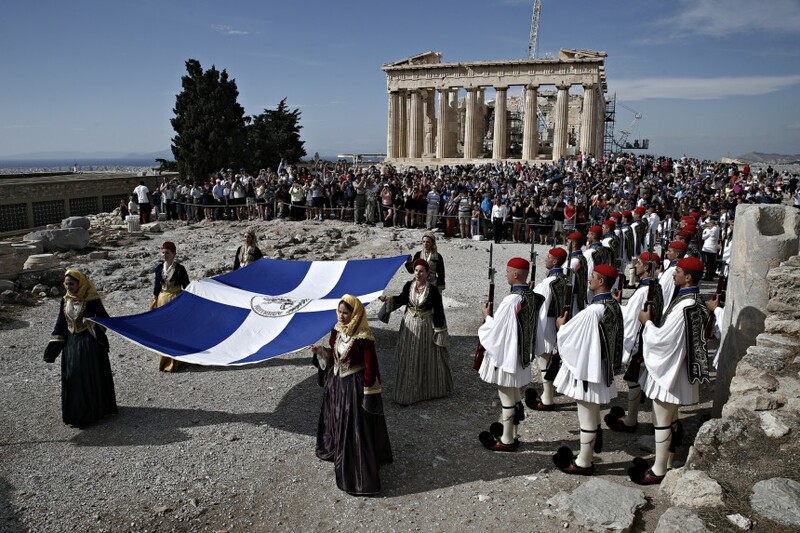 It was founded in Athens, Greece in 1911 by Kalliroi Siganou-Parren. 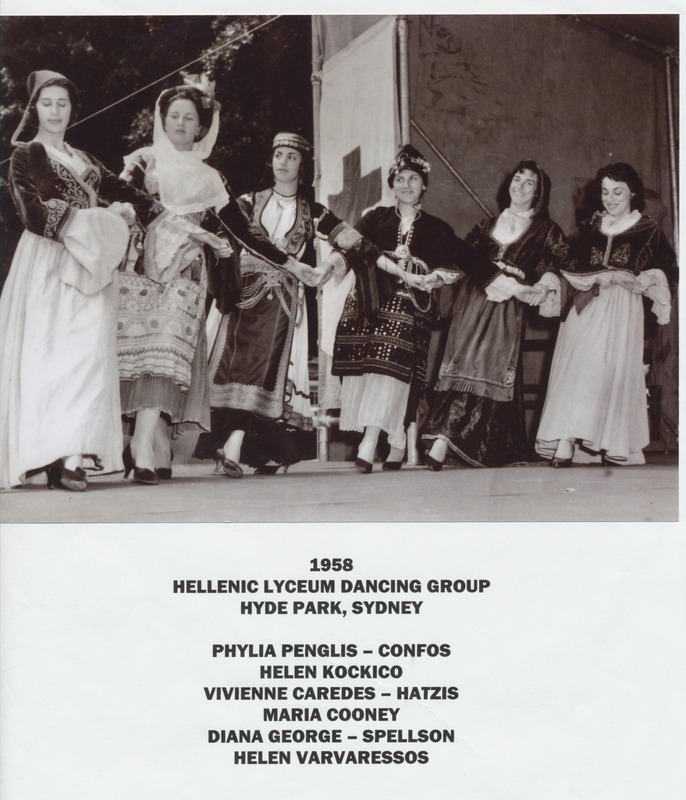 Our Vision To Lichnari ton Ellinidon The aim of the Hellenic Lyceum Sydney is to promote Hellenic culture through dance, costumes, jewellery, literature, textiles, symposiums, recitals and theatre. 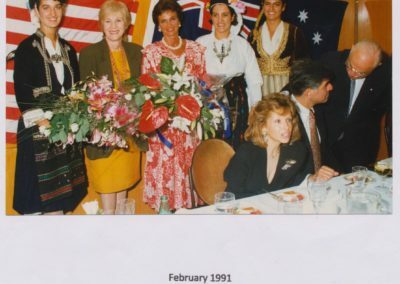 talks, lectures and symposiums presented by second and third generation born Greek Australian academics. 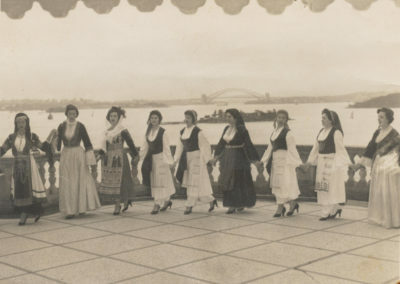 exhibitions showcasing the collection of traditional costumes and artefacts. 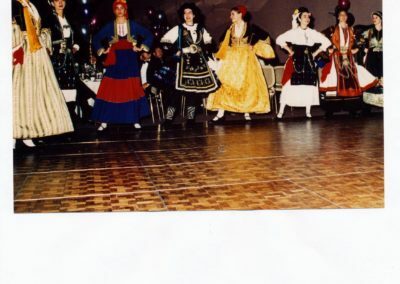 dance concerts that also include guest performances of the Hellenic Lyceum Dance Groups from various regions of Greece. 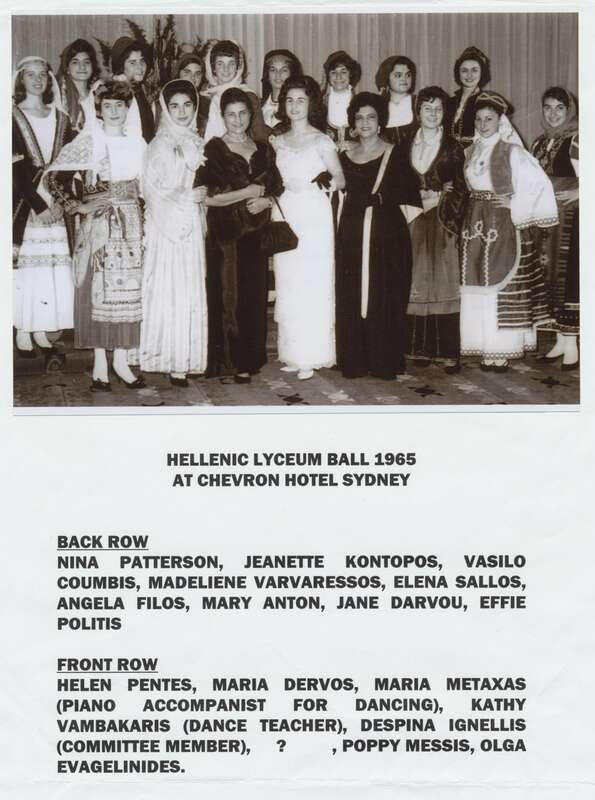 The past and present committees of Hellenic Lyceum Sydney work tirelessly to promote Hellenic culture which now forms part of the multicultural Australian society. 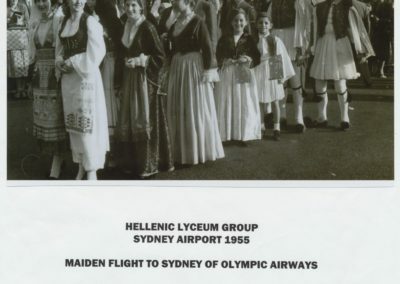 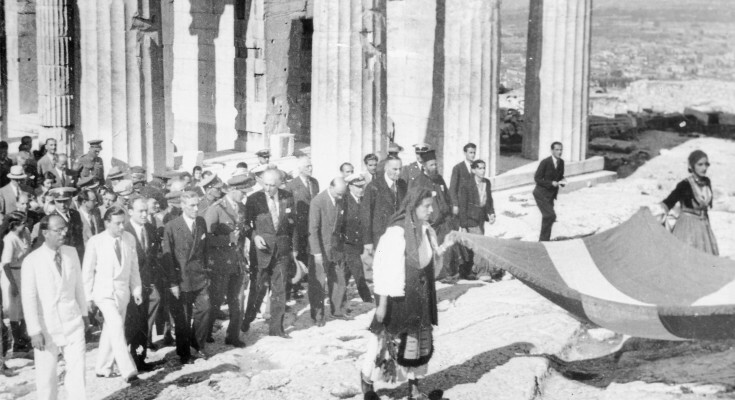 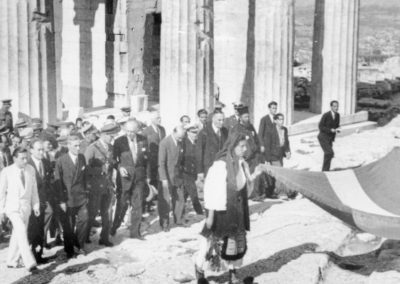 We are now working toward the establishment of a Hellenic cultural museum in Sydney.